Rose Tree is characterized by ardent attention to detail. Superior workmanship with an air of elegance and refinement. 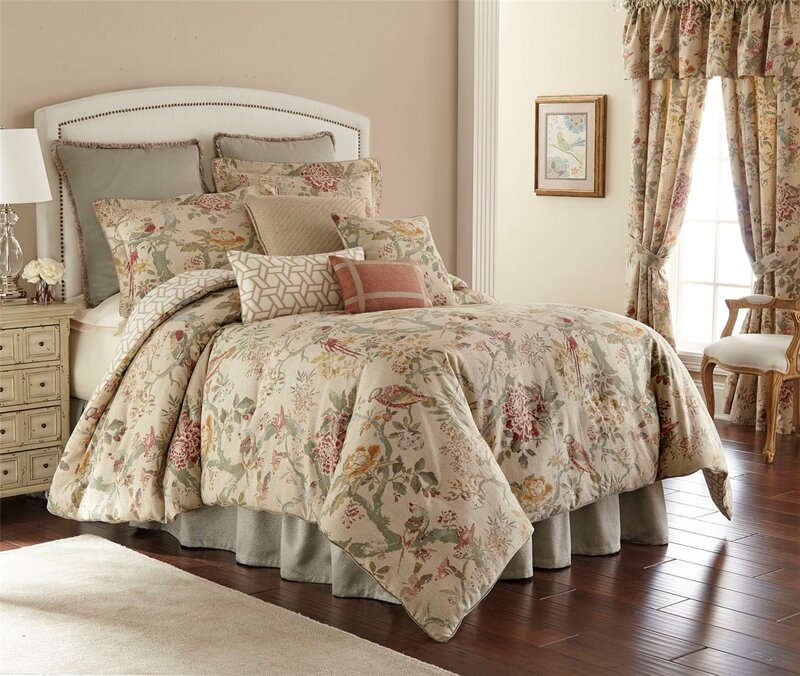 Modern elegance coupled with updated classical styling defines the Rose Tree collection. Biccari collection by Rose Tree. Soft romantic colorway. 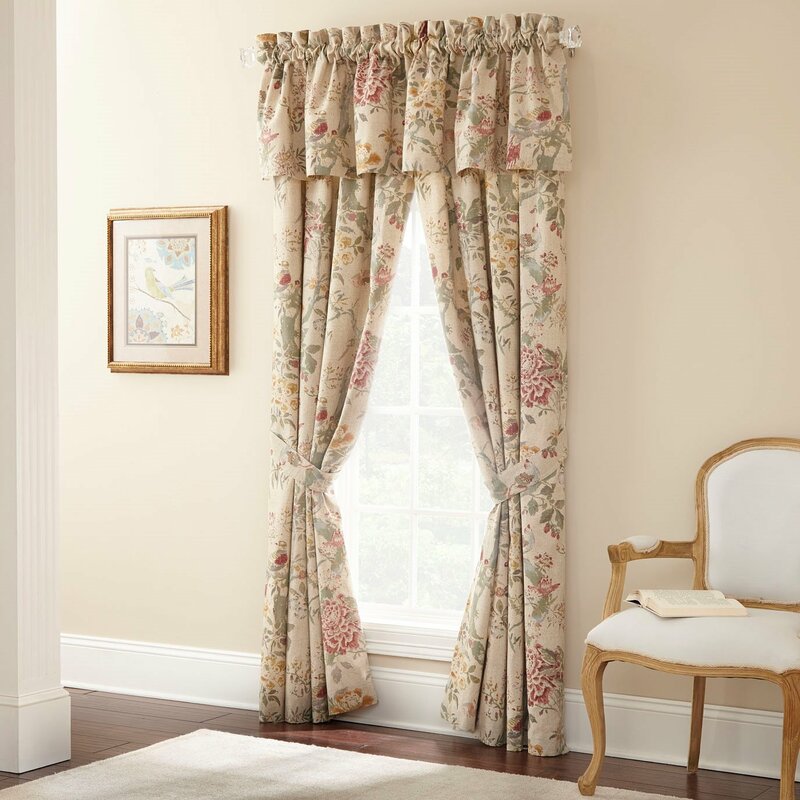 Biccari features a colorful vintage floral with perched birds on a cotton/linen ground. Layered with a simple geometric in wheat, a textured teal chevron and a small-scale diamond pattern in red. Consists of 2 panels. Panel pairs are lined with a 3" rod pocket and tie backs. Measurements: each panel 50x84, Fabric content: 72/28 cotton/Linen , Lining 50/50 cotton/Poly, Care instructions: dry clean, Imported, Rose Tree brand distributed by P-Kaufmann Home.